How do you manage your training, and how did you come up with your training programme? After I joined the Army, I got an opportunity to sky-run in an Army organized event. I came in second that time. Zealed by the event, I worked hard and trained hard. However, when I ran the Everest Marathon and trail-ran around Pathivara, I realized that our training were not suited for sky-running. I, and a few other racers provided feedback to the trainer. Based on our experience, and from the trainer’s inputs after our feedback, we, the racers, came up with the programme by ourselves. We train regularly. We train in a more focused and in a more rigorous way when we are preparing for a big race. Being in the Tribhuvan Army Club, it is easier to manage time for the training – the club is dedicated to army personnel who excel in sports. Does your job as an Army official affect you as a sportsperson in anyway? Yes, it does. In both positive and negative ways. Being in the Army equips you with a safe “side-job.” It helps you secure your future, and ensures a flow of income when you are not able to race. Being in the Army allows you access to good and proper training facilities with professional and hardworking people around you. Huge hierarchy. The long chain of command and strict regulations make it difficult for things to be processed quickly. Also, there is a lack of space for independant decisionmaking. As far as running is concerned, decisions related to races need to be ratified by authorities way up the chain of command. Which race would you most like to race and why? Kinabulu climbathon in Malaysia. It’s an intense competition with some world-class runners. Competing with the best allows you to become better. The climb is similar to that of Pathivara’s in Nepal. I think a Nepali, Sudip Kulung, holds the record for the fastest descent time. What would need to be done to make Nepal a nation of great trail runners? The first thing that need to be done is to secure the future of trail-runners. People who trail-run exclusively who are not in the Army or Police live on a hand-to-mouth basis. That needs to change. More races need to be organized around the country. For two main reasons: to find Nepali talent, and to make the sport known all around the country. A world-class training centre is needed to develop the racers of present and the future. What would need to be done to get more people to come to Nepal? Professionalize the races. Host one world-class, absolutely top-notch trail-running event. What do your friends and family think of your achievements? I am from a rural village in Ramechhap where the basic concern of the bread-winner is just that, to put bread on the table somehow. And people do not usually care about how exactly it is being done as long as it is being done. My family doesn’t really know I am an ultra-runner; they believe I do army tasks only. When I tell them about the races and my achievements, they just go, “Aehhh,” and that is that. They just think that I am doing a stint for the Army while racing; they do not really understand it. My friends — especially at the army — have been very supportive. They have been my “right-hand” in all of this. Without them, I would not be here. Tell us about people with fat bellies in Nepal. We have this strange mentality here in Nepal. People in Nepal think that people with fat bellies and large biceps are stronger. People in the west believe exactly the opposite. Also, people with bellies are seen with a “status” whereas lean, toned people are thought to be physically weak. If I try to ask people to reduce their bellies by working out, they go, “Are you envious of my belly because you don’t have one?” It is difficult to change this mentality at present. How did you get to be selected for Tribhuvan Army Club? I was on duty for six years during the civil strife. When that was over, I ran 42 kms in the Pathivara Trail Race in an open Skyrunning-like competition organized by the Nepal Army. I finished first runner-up on that event. Tribhuvan Army Club selected me after considering that I had good potential in this sport. I am most proud of the people I have met and the friendships I have created by being involved in this sport. I have met some amazing and kind-hearted human beings, and I am proud to have met many people like them. If you could achieve anything in running, what would it be? I would like to be the World Skyrunning series’ champion once. What do you think of Mira’s running ability? She has tremendous ability. She is immensely strong and has never-ending endurance. She is, if not more, as competitive as men. She can easily be the World Champion with proper training. Do you think Nepal will ever have a world champion trail runner? 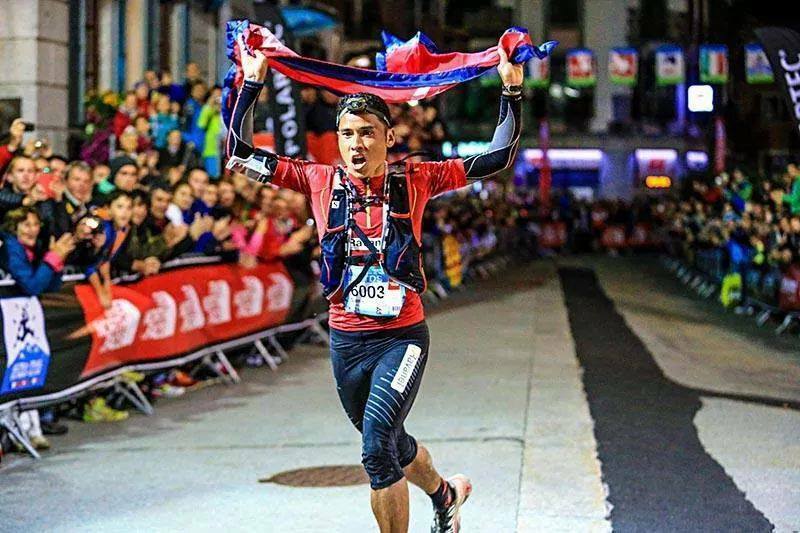 Nepal has a huge potential to have a world champion trail runner. However currently to become a champion, they must fight alone. If they rely on the current bureaucratic system where for one sportsperson twelve officials go abroad, they can never be world champion. 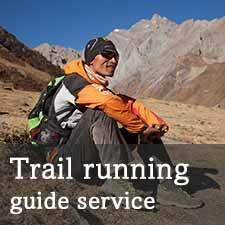 What differences/advantages do Nepalese trail runners have over those from other countries? We have great nature, the best place to train. The diversity of weather, terrain and trails enables us to be more versatile. Even while doing household chores, we are training ourselves. Also, economically, it is less expensive compared to other countries to train and race. I was an overactive, naughty child I think. I used to lie to my parents a lot. Being the youngest son, I had the of being the favorite child for a long time. I used to hang out a lot with my friends and tell them exaggerated stories. We used to race downhill from school to home with friends and we would also race in collecting firewood: who would collect the most in the least time. Also, I used to chase goats to race with them, and keep them under check. Do you think your upbringing has any role to play as such a competent runner you have become today? Yes. Trail running requires endurance and fearlessness. I guess developed a little of these two qualities due to my upbringing in the village. What do you want to do when you decide to hang up your running boots? With proper nutrition and training, I think I will be able to compete at the top-level for three or four years at maximum. I want to work with and around the periphery of trail-running if possible. However, given the existing state of things, I also need to seriously consider the possibility that it may not work out. If it doesn’t work out, I would have no choice but to go and work abroad to secure the future of my family.